It's day 19 in Australia, and the women of Ogakor are starting to go insane. Jerri lusting for Colby. And chocolate. Jerri and Amber are starving, they have barricaded themselves in the tent, and all they have done all morning is talk about the desserts they want to eat when they get back home. It's chocolate this... and chocolate that... and the rest of the tribe is starting to get annoyed. They just don't want to hear any more chocolate talk. All it does is make people hungry, it reminds people of what they don't have, and so the rest of the Ogakors wish they would just stop. Amber and Jerri climaxing over chocolate. Jerri uses the bongo to help. 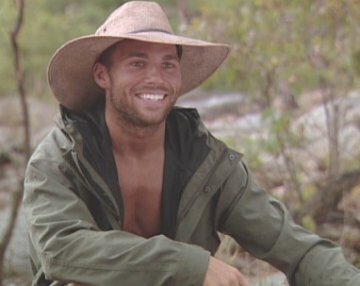 The most annoyed Ogakor member at the moment is Colby Donaldson, the cowboy from Texas. Colby is standing down the beach, and he loudly tells us at home that he wishes the merge would happen so he can escape the constant barrage of chocolate talk. All he wants right now is to be away from Amber and Jerri for a while. "Bring on Kucha. Get rid of these goons." Amber: Oh my goddddd, it's soooo good! Amber: Oh my godddddd, that too is soooo good! 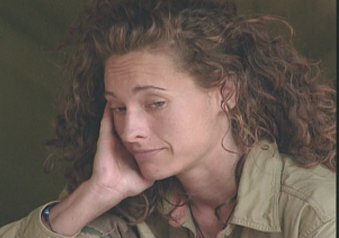 Amber: I cannot overestimate how good that would be. My god. "I may be a lot of things, but I aint no Hershey bar." 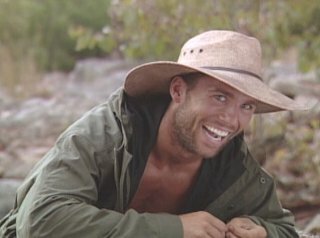 Easily one of the most famous quotes in Survivor history.